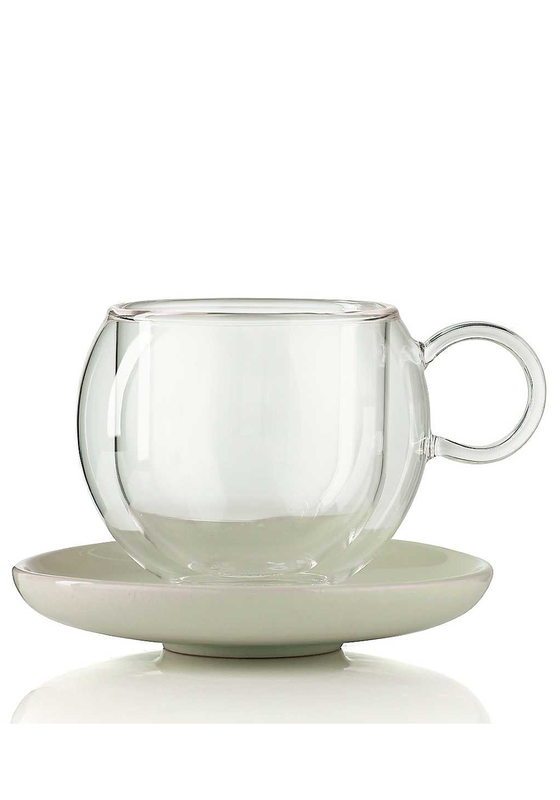 The beautiful bola cup and saucer from La Cafetiere has a mix match design. The double walled glass cup will keep your drink warm for longer. It come with a matching porcelain saucer. 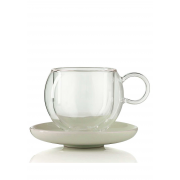 This set is available in different sizes, the medium cup is ideal for a cup of tea or regular coffee.